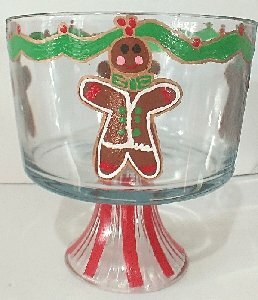 Christmas trifle bowl with Christmas Red Bird to serve your Christmas pudding, trifle or favorite dessert is a wonderful way to bring in the holidays. 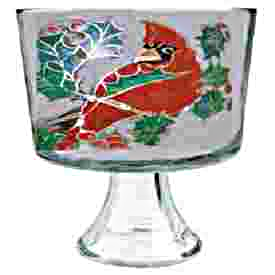 Layered trifle desserts look wonderful through the glass and when you have a hand painted Christmas trifle bowl with a Red Bird peeking through the glass it is a special treat. 3QT trifle glass bowl. 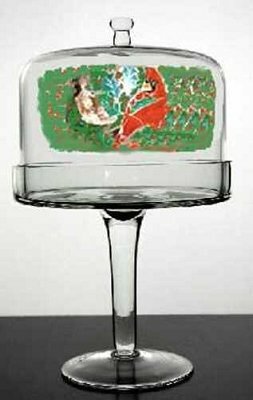 This high quality glass trifle bowl stands 8.5 inches tall with a 4.5 inch deep bowl that is 8 inches wide. 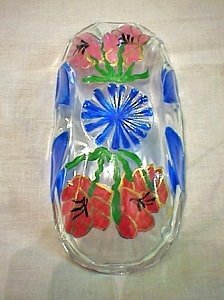 I had this for my Mom and she loved it. 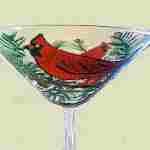 Red Birds are her favorite and this is just beautiful to use especially at Christmas. Thank you so much. She wants me to get you to hand paint other serving pieces. Next we will do the small serving trifle bowls. Thanks again.